My daughter had an overnight guest last night, and I hate cooking for strangers, so I was delighted that my husband made breakfast. 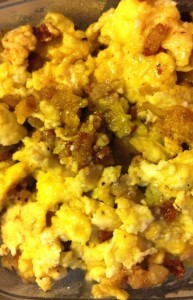 He scrambled some eggs with pork sausage. My daughter and I had them on a plate (my daughter with cheese, mine with green chili sauce), and everyone else had them in a burrito. While my husband was cooking, I had a few cinnamon pecans from last night, and after breakfast I had one of the low-carb peanut butter cookies. 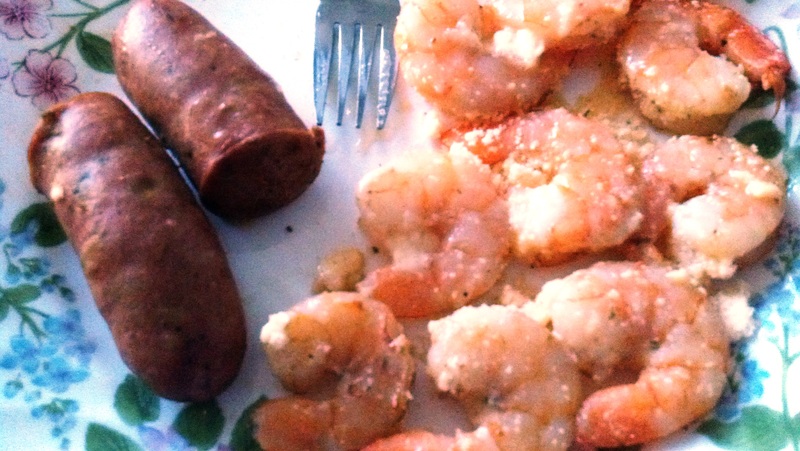 Sausage and shrimp with garlic, butter, and parmesan.